Truly, all fingers are alike but not equal. I always wonder why it was so, then I sat and thought that if fingers were to be equal, then no possibility. Such that good handwriting, good artwork, feeding, carrying and lifting of load, gripping, producing of good musical instrument and other activities done by our hands may not be possible. Fingers are not equal, but still each has a role which is playing, that is fingers need each other so that they can be useful and that activities can be done. With these I could say that “equality may not bring possibility”. The description of the fingers show some important hints which are useful to the society, organizations, country, team and for individuals. People, just like fingers, are different from each other. Their diversity is their strength. People may be related by family or nationality, but each person nevertheless still different. Creativity, ability, choice, ideas, achievements, positions, and knowledge differs within human, so that we can help each other to achieve success just like the fingers, which are alike but not equal, still need each other so that they can be useful and that activities can be done. With the description of the fingers, any organization, country, society or community which tend to be successful or move forward. People or citizens must accept their own creativity, ability, knowledge and responsibility, and not looking at or copying others own but instead improving and making something good out of it, simply because they can’t be the same. Imagine in a company where all workers have same creativity, ability, knowledge and responsibility, such company will never be successful because all workers will always share same ideas, thoughts and knowledge. But in a company where all workers have different creativity, ability, knowledge and responsibility will be successful because workers will have different method of doing things, different style, ideas ,thought and responsibility.That is why there is a saying which says “two heads are better than one. 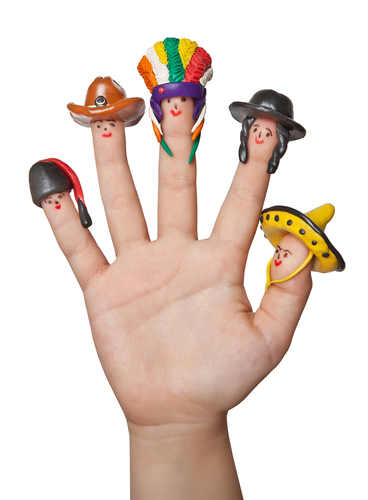 With the description of the fingers, for team to be successful, members of team should not despise each other because every position of each member in a team matters a lot just like the finger, which every position for each finger matter a lot. For team to reached their goals or to win, members need to work as one just like the finger. In sports, football particularly, people believe that in a football team, strikers are the best and they are the stars for every football match but forgotten that if other positions in the team such as the defender, goal keeper, mid-fielder and others never get their responsibility done or never work as a team, then the striker is rendered useless which can make the team lose eventually. For a football team to win medals or award, is shows that each prayer of the team as work as one and has done their responsibility well. The way if go may not be yours looking at the educational system. After some parents have looked other’s achievement and possession, they believe that the best Job for their children is to become a medical doctor which may not be the Child’s ability. Student nowadays are now forced by their parent in the matter of choosing course to study in higher institution because of what other’s are achieving or getting from that particular profession but not knowing that we can just be equal. Some students fail courses in higher institution because they do not have the ability, some never achieved in that particular profession because at the beginning they copied others. Imagine if 90% of students or educational practitioners are into medicine as a case study, but without other professional in Arts, agriculture, engineering, environmental technology and other fields doctor will not survive and will not because anything. There is no possibility that a doctor can live if there is no agriculture, medical practitioners will not have instrument or tool to work with without engineers. Lastly where will medical practitioners get hospital, and other buildings? It there is no environmental technology. No matter the position we are, everyone still needs each other just like the fingers, parents should stop forcing their children to study a particular course because achievement can be gotten from any profession. Organization, country, society, or community can be successful when people accept their own creativity, ability and responsibility. Teams can be successful when members work as one and not despising each other, individual of student can achieve or be successful when only they know their ability and going for it. No matter the position we are or find ourselves in the world, we are there for a purpose. Without you the world is not complete. The world is just like our hands which consist of alike but unequal fingers, people are born to be different.